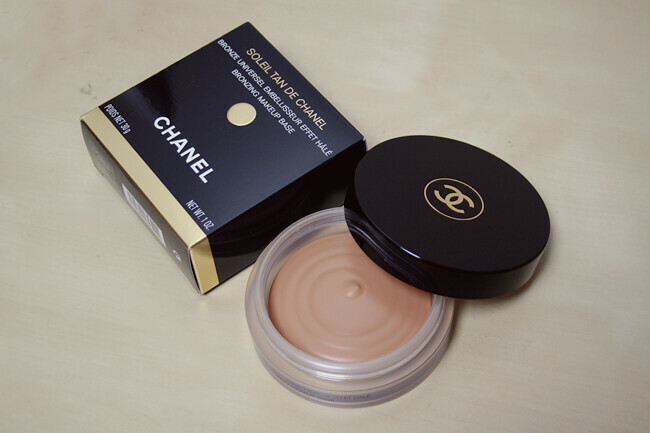 Over the past few months i've read a lot of reviews about the Chanel Soleil Tan De Chanel Bronzer and heard nothing but positives, but it still wasn't enough to make me go out an buy it. The hefty price tag attached to this product put me off, i mean can a bronzer be really worth £30+? Then i also had to think about my milk bottle skin and whether I'd get my use out of it if i did go ahead and indulge. So this has all been at the back of mind for the longest time and to be honest i had stopped wanting it so much. Then one morning an email popped in my inbox from buyapowa saying the bronzer was now live! Now i don't know if it was the price (which wasn't actually that much off) or the time clicking down which made me buy it but there i was finally going to own this wonderful product. I've been using this for about two weeks now, everyday actually and it's just perfect. It's everything i wanted and so much more. 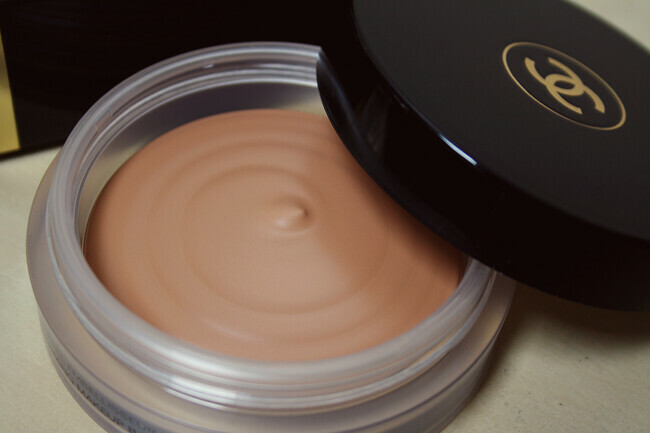 It's a creamy formula which blends beautifully and can easily be built up for a more contoured look. I love that this product is matte so if gives a totally natural sun kissed look and it gives my skin such a lovely finish. 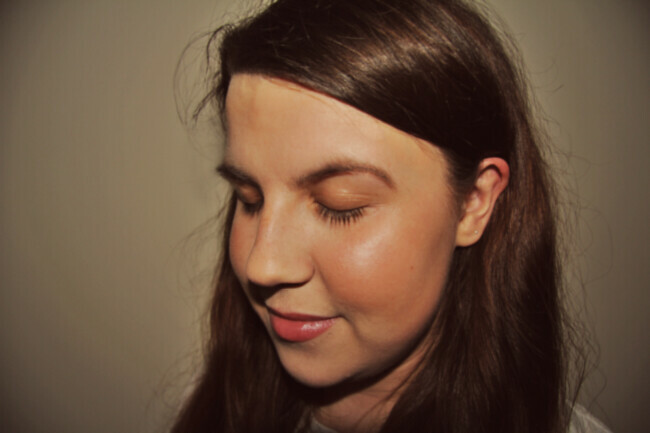 I am really pale but i promise this product isn't too dark at all, i've just built it up but you only need to give it a light dusting. I can whole heartily say this is probably my favourite purchase of the year so far and it's worth the pennies a million times over. Have you tried this bronzer? What do you think? I haven't tried this yet!! Mainly because of the hefty price tag! But I guess you pay for what you get. I love this product too. 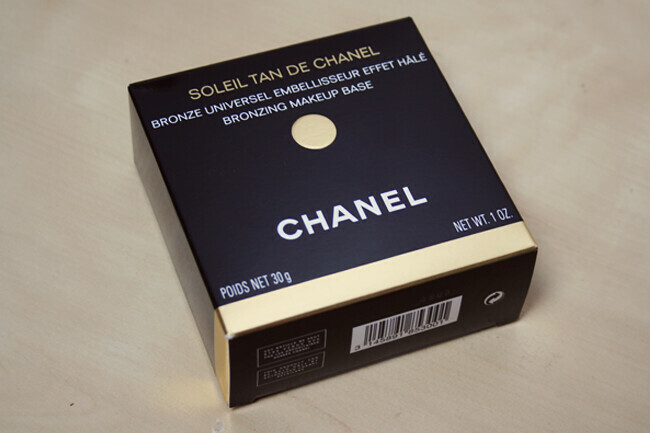 It is great for contouring and somehow even though it is orange toned, it looks great on pale skin too. I love the look of this product, it reminds me of chocolate mousse! I get so sad when I see another positive review on this product...I was so excited when I bought it and its really is a dream to apply, but unfortunately the colour just does NOT look good on my skintone! It looks so beautiful and natural on you, but it turns a weird sallow yellow colour on me. It looks so pretty, I need to go swatch it in store. Sounds like a good product, the colour looks so nice! This looks like such a beautiful product. Looks gorgeous on your skin too. That has been on my wishlist for yonks! I keep putting it off (price), but after your review I'm thinking maybeee I should take the plunge after all, lol! I cracked and bought it at duty free..yet to use it properly, but I'm so excited to! Oh I really want it too, and was so tempted when I saw the buyapowa co-buy, but I refrained, and now wish I had. So expensive though :( Have to research and find out what it's like for combination skin. PSSH, wish my "frizzy hair" looked as good as yours!! This looks lovely, like a really nice texture. Sadly I can't afford it but love Chanel make-up and nail varnish as birthday treats. Maybe this is one for the list. Your skin looks great! Gives a light bronze glow to your skin, making you look wonderfully sunkissed and not orange at all - my biggest fear of bronzers hahaha!